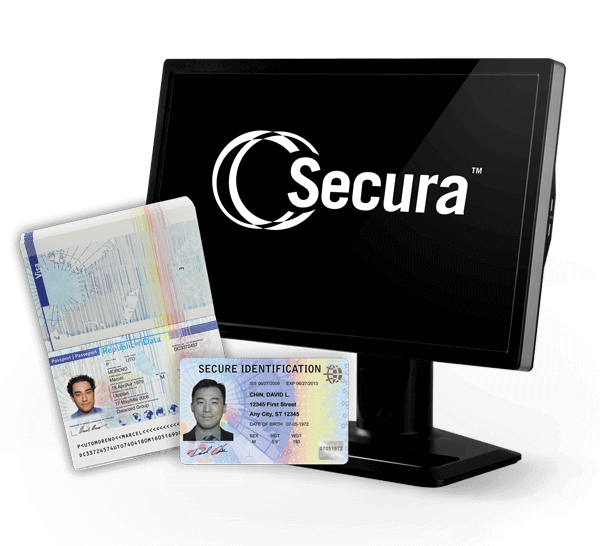 Datacard® Secura™ identity & credential management software revolutionizes the issuance and post-issuance management of highly secure passports, national IDs, PIV cards and other secure government credentials. It streamlines every step of the process — including enrollment, identity verification, application approval, document issuance and post issuance management. Proven workflows and a standards-based design replace the typical delays and cost overruns of custom software development with the certainty of a preconfigured solution. Secure Enrollment. Enables biometric and biographic capture, breeder document processing. Identity Management. Interfaces with external sources to verify and manage identities. Credential Management. Includes business rules, profiles and data preparation capabilities. Issuance. Offers from high-volume, desktop and mobile issuance options. Post-Issuance. Allows for updates, revocation and other post-issuance processes. An enterprise-class platform for establishing trusted identities, issuing secure credentials and lifecycle management. Instead of custom development, leverage preconfigured workflows for faster deployment. A greatly reduced need for customization minimizes the risk of cost and time overruns. A standards-based architecture streamlines integration with other elements of your credential ecosystem. Easily expand the platform and incorporate new technologies as they become available. BPMN 2.0 standards-based preconfigured workflows for common processes. Flexibility to customize workflows. Collect quality biometrics, biographics and photos. Verify and process breeder documents. Pre-configured workflows bring security and consistency to issuance, reissuance and renewal processes. Complete post-issuance management capabilities. Enable secure and efficient card activation, PIN management and certificate renewal by authorized officers. Allows for any combination of central or distributed issuance and supports a hybrid model. Also, allows you to build on existing issuance assets. Built-in lifecycle management for credential issuance, reissuance, renewal and revocation. Includes web services APIs, data mapping tools, user interface customization tools, sample code and documentation.